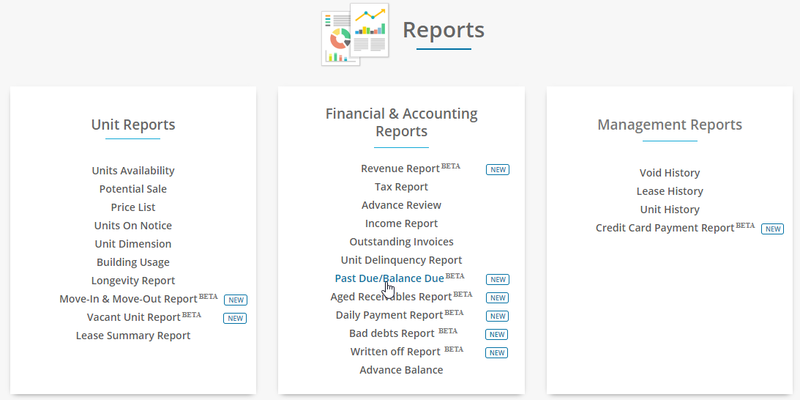 Set “ Select report” as a past due and select location and set the search criteria as per the requirement and click search button to view reports. Past due is a loan payment that has not been made as of its due date. This report will display the balance due and late fee separately. The Overdue is displayed in days and months. This report includes last payment date.